In 1983 six businessmen (and we use that term loosely) opened the first Hooters in Clearwater, Florida. The group known as the Hooters Six were immediately indicted for impersonating restaurateurs. While the charges were later dismissed the stigma lingers today. Through the years Hooters has grown into a huge international success with resturants dotting the globe even a Casino, Golf Tour, Calendar, and Magazine to its credit. 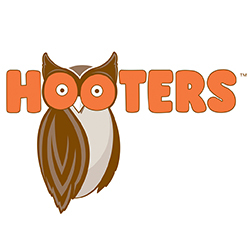 Hooters celebrated its 30th anniversary in 2013 and continues to build its brand name internationally. They have grown into a world-wide restaurant chain with over 430 restaurants in the U.S. and 28 foreign countries.